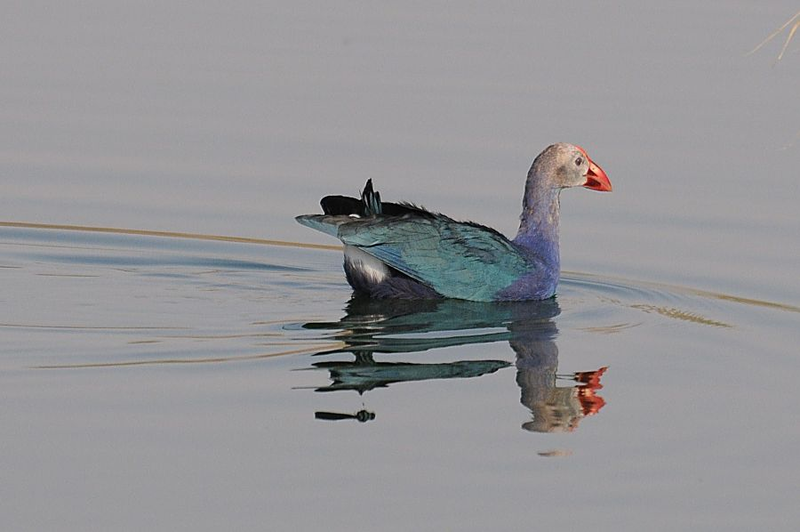 Sabkhat Al Fasl is the best place to see Purple Swamphen in the Eastern Province of Saudi Arabia. 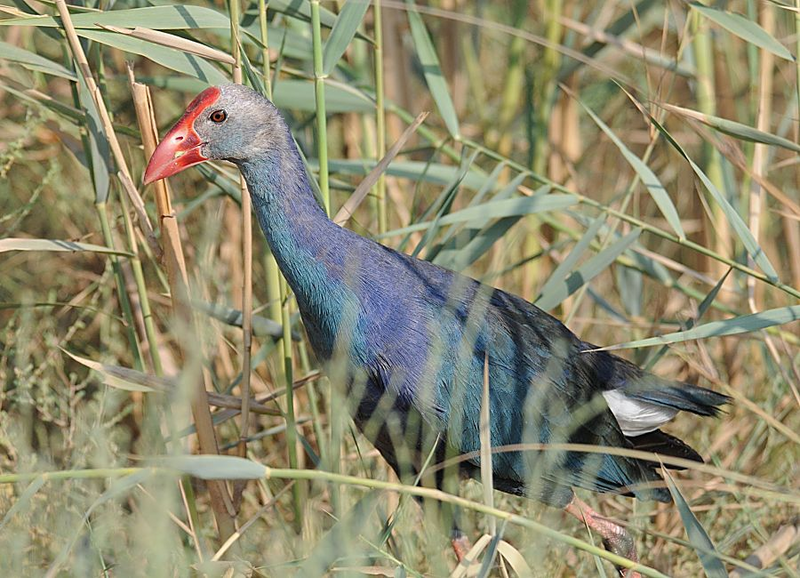 Birds are quite common here and regularly twenty plus birds are seen and on one occasionally over sixty. 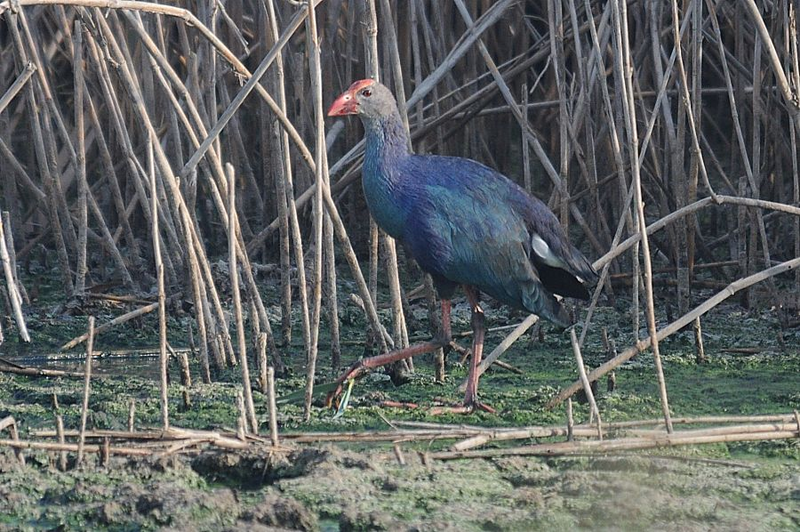 The birds breed at the site and there are quite a few well grown young at the moment but they are not easy to photograph. 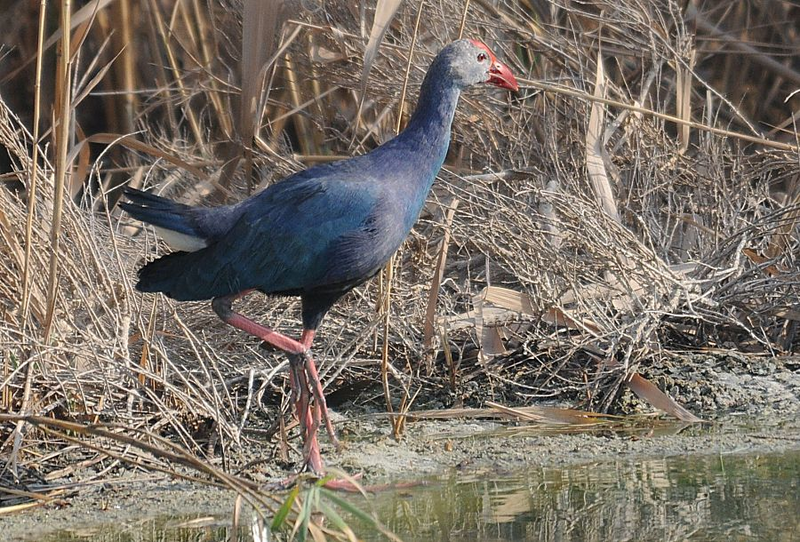 Here are a few shots of Purple Swamphen from our visit to Sabkhat on 4th August.